explosion of colour that set off our ruins perfectly. Here are David Weinczok’s Best Castles In Autumn. As the trees turn and the days draw in, we enter a fleeting time of immense beauty. The dramatic colour attracts day-trippers, photographers, hillwalkers and sightseers in one last hurrah before hibernation sets in. There are few better times of year to get out and about in Scotland, and castle hunting is no exception. These are the castles that make the very most of this spectacular season. Whether you’re keen to capture that winning picture for Instagram or, like John Muir, simply lose yourself in the boundless playground of the great outdoors. 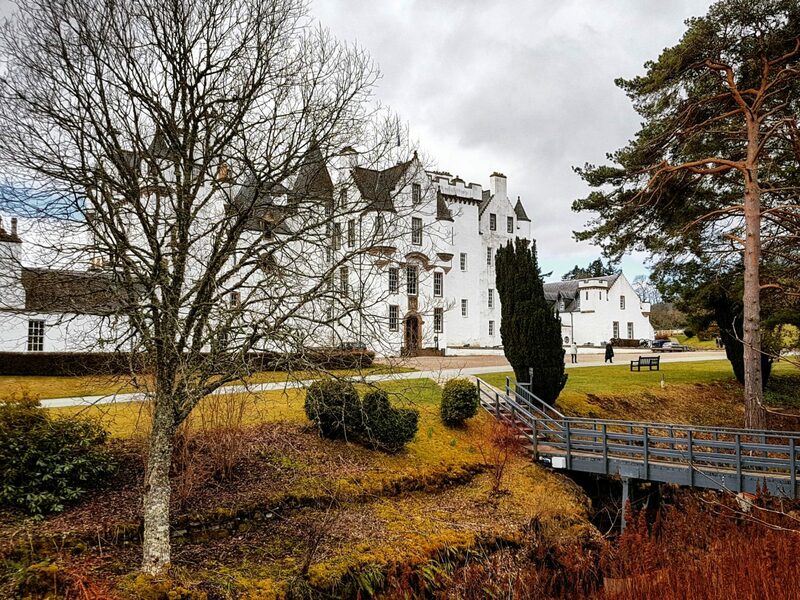 Highland Perthshire is famous for its foliage, and Blair Castle is nestled right in the heart of ‘big tree country’. The forests here rival any of those in my native Canada. If it’s romance you’re after this is where to find it, amongst the tall trees, ebbing rivers and gentle evening light setting upon the hills. Blair Castle was a favourite of Queen Victoria, so much so that she and Albert honeymooned here. They enjoying the pleasures of nearby places of beauty such as The Hermitage at Dunkeld and the Black Linn waterfall in Pitlochry. The castle itself was the scene of the last siege of any castle in Britain (in 1746), though its pearl-white harling gives away no hint of the ravages of war. Castle Campbell is perhaps the best example I know of a castle that exudes the rugged wonder of the Highlands while still being firmly in the Lowlands. There is a car park right at the castle gates, but reaching it by foot is a treat. The walk up and down the gorge follows the Burn of Care and the Burn of Sorrow. 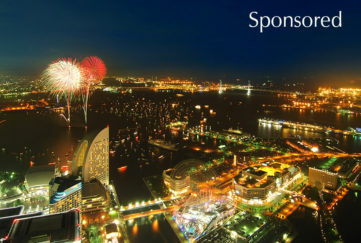 It would be worth doing even if you weren’t rewarded with a great castle at the end! I do pity the labourers who had to get all that stone up there, though. The castle affords a near-bird’s eye view of Clackmannanshire and the Lothians to the south. To the north, Dollar Glen unfolds invitingly. Inside you’ll find a Renaissance-era arcade, a terraced garden, and stout towerhouse – a reminder of the power of the Campbells, and the ire that such power often invites. A predictable choice, perhaps; a worthy one, undoubtedly! 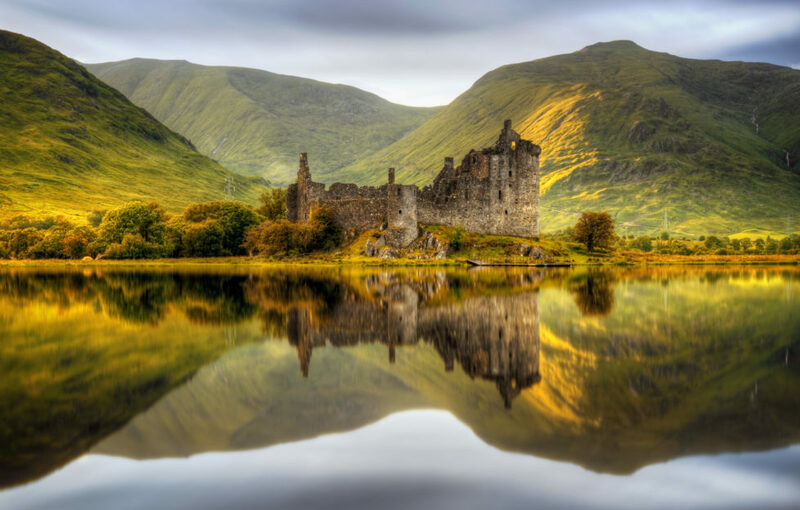 Kilchurn Castle is a star amongst Scottish castles for very good reason. 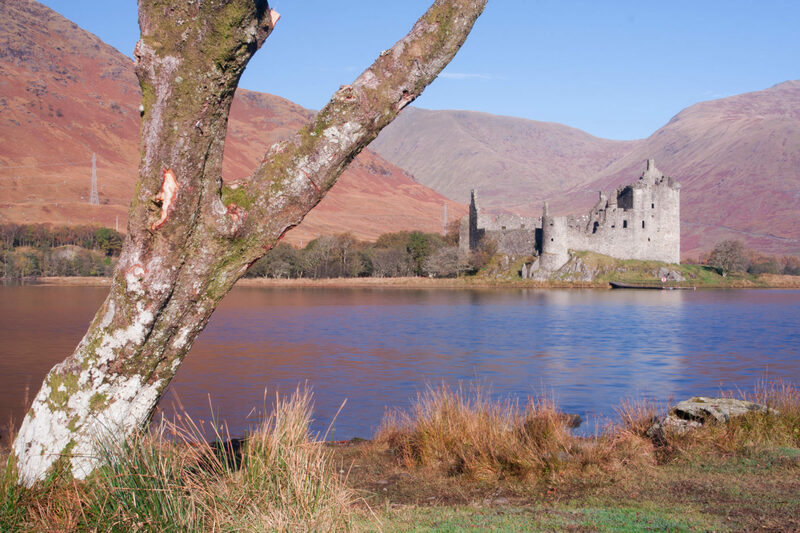 It stands guard on a small peninsula – jutting out into aptly-named Loch Awe and backed by mighty Ben Cruachan. It was on these slopes Robert Bruce battled the MacDougalls in 1308. Ambitious castle hunters could easily combine a visit to Kilchurn with a little munro bagging and be rewarded with panoramic views over one of Scotland’s most beguiling areas. We have the Campbells to thank for Kilchurn, too. The castle started as a fortified tower in the 15th century and was later adapted into a comfortable residence and then again into a barracks. It was overshadowed by the construction of a modernised fort built by Cromwell’s troops at Fort William (hence the name of that town). It is now the ideal ruin, bestirring the inner bard in all who set eyes on it. 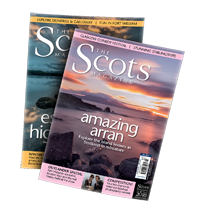 From Kilchurn at one end of the popularity spectrum, let us turn to a more hidden treasure. Perched over the Clyde, there is little left of Corra Castle and interior access is not possible. What it lacks in access, however, it makes up for in atmosphere. The castle seems like somewhere that a fairy tale may be set, with its charming front door and vegetation overflowing the battlements. The Clyde can be heard below, while many birds and bats call the ruins home. 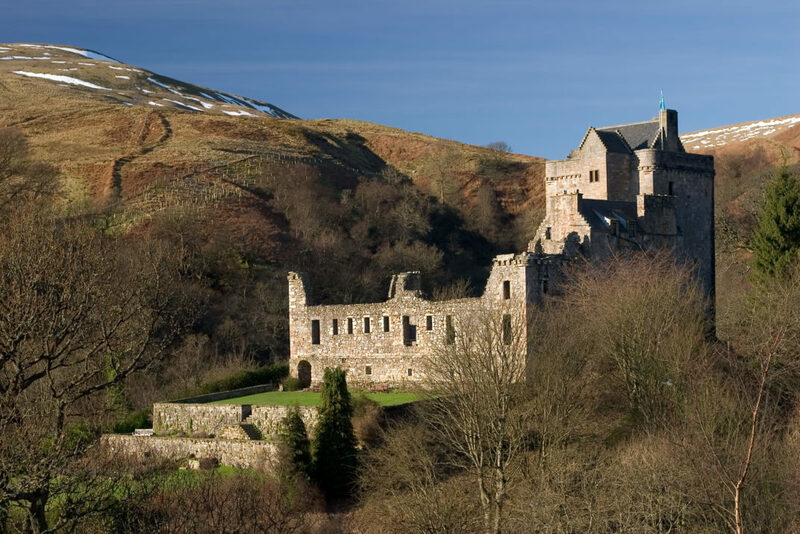 Combined with a little stravaiging on the local paths, the castle is well worth going out of your way for. Not ten minutes’ walk away is Corra Linn, pictured above. 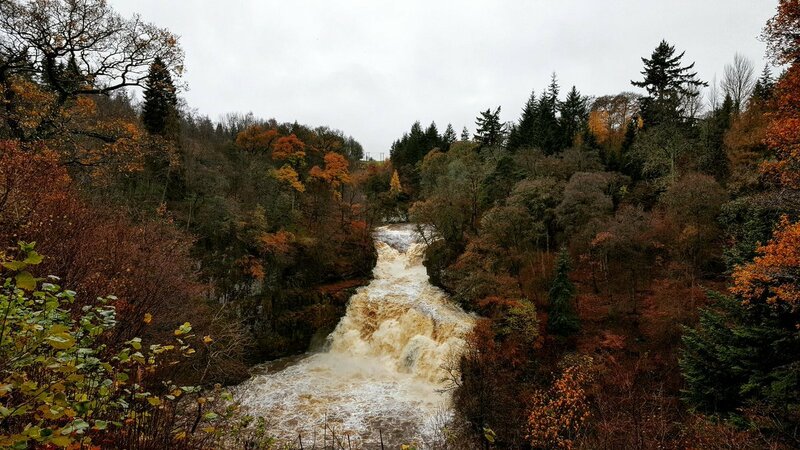 This is one of the four Falls of Clyde and an elemental display of the power of this all-important river. Complete the adventure with a stroll into the UNESCO World Heritage Site of New Lanark. 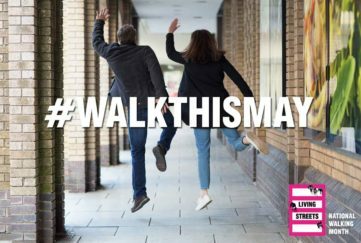 It’s one of our Top Family Walks In Autumn, too. Here Enlightenment ideals fought back against the inhumanity of the 19th century industrial workplace. There are countless other castles that take on a whole new life with the onset of autumn, of course. The northeast has plenty of options, including Braemar and Crathes. I would feel remiss if I did not mention places like Loch Doon Castle, Galloway, or Carnasserie Castle, Argyll. 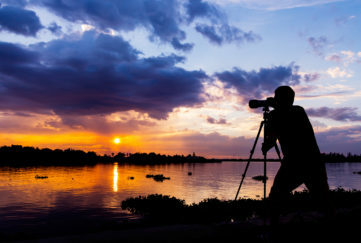 They’re all yours to discover, and to cherish as the prettiest of pictures and memories to warm you through the winter. and follow him on Twitter for more updates.